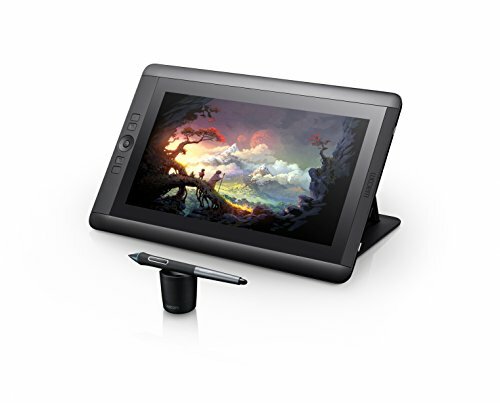 Here’s my definitive buyers guide for the Best Drawing Tablets that are just perfect for graphic designers, digital artists & illustrators of all levels. When it comes to designing and illustrating, you need a powerful tablet that will keep up with the demands of your everyday projects. There are literally hundreds available on the market today, and this can make it overwhelming to choose the perfect tablet that won’t fall short. If you’re thinking about looking for a new powerful tablet, our easy-to-follow buying guide will give you a good starting point. We’ll go over the core criteria you want to ensure your new tablet has, and then we’ll review the top 13 tablets for designers and illustrators with pros and cons and specifications so you can make an informed decision on which tablet is the best for you. Your active area is where your stylus pen reacts and draws. You also have a bezel or the plastic edge that comes between the screen and the casing in this area. Depending on your specific interface, you don’t necessarily need an overly large area to work on. However, it should be large enough to allow you to fit your specific style without you running out of room. Most tablets have the active area clearly labeled, but it’s always important to double check the screen size. Be sure to look for the term ‘active area’ and then the specifications. The last thing you want is to purchase a tablet and be disappointed that it doesn’t have enough room to support your design and art projects. Although these features aren’t necessarily a need, they’re important to consider when you’re buying a tablet. 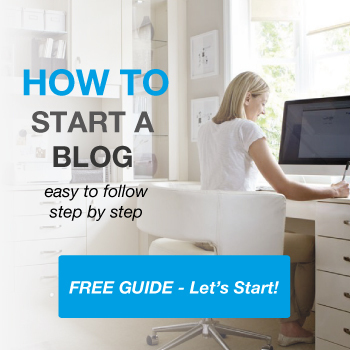 These can be some of the useful parts like Hot Keys or multi-touch capabilities. They’re designed to improve your overall experience and make your design process more seamless. As tablets continue to evolve, it isn’t unusual to have hotkeys or shortcut keys built right into the tablet. You can use these keys to save time and streamline your work process because you won’t spend time looking for your most used apps. You can customize and program them to your favorite shortcuts, or some tablets automatically pull your most used shortcuts into the hotkeys. There are two basic tablet designs, and they are either flat models or on-screen models. There is a cost difference between them, but this really comes down to personal preference. An on-screen tablet will typically have the same LPI as a flat model. However, it can be an adjustment to draw on a tablet while you look at your PC or laptop screen. For other people, there is no other way to create and draw. When someone buys a drawing tablet, they’re usually buying them for a specific skill set. However, it all comes down to how sensitive the tablet is. Depending on your particular illustrating or drawing style, you want an ultra-sensitive and responsive drawing surface. The pressure sensitivity is another big deal, and this is a hardware issue. Your pressure levels start out at around 300 and go up to around 3,000. Obviously, the higher your pressure levels are, the better your tablet can respond to you. Many tablets sit in the 1024 level range, and this is the optimal level for illustration and design. If you’re someone who wants to make very high-resolution images with very sharp graphics, you want to pick a tablet with a higher LPI. This stands as lines per inch, and you can think of it as comparing HD to 4K. You know a clearer picture when you look at it, and a higher LPI will give this to you. 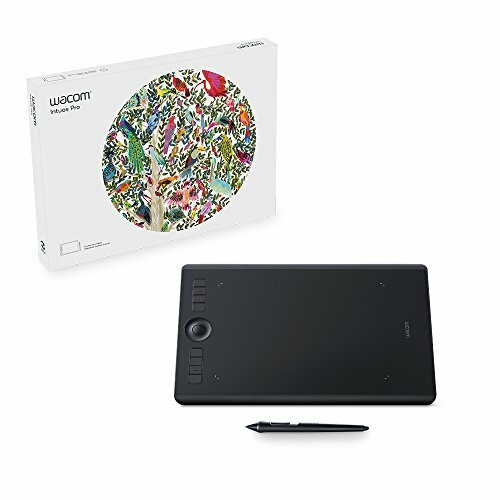 If you’re thinking about buying a drawing tablet as a gift, you want to think about how in-depth drawings the person you’re buying the tablet for makes. 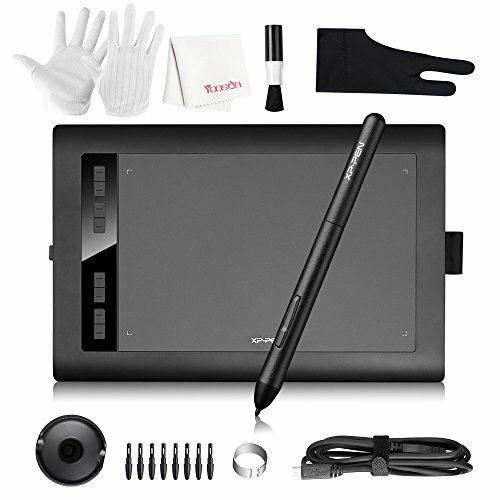 If you want to get them an ultimate sketching and drawing tablet, look for one with a higher LPI. A scroller on your tablet will let you quickly maneuver from one point to another point quickly and easily. Also known as a scroll wheel, many tablets have this built-in today. You may not necessarily need this feature, but it is nice if you’re looking considering going to school for graphic design or you’re buying the tablet for someone who is going to school or works in graphic design. While you may think a stylus is a stylus, when it comes to a design or illustration tablet, this can’t be further from the truth. You can choose from a battery-operated stylus or an electromagnetic resonance (EMR) stylus. These two styluses have several differences, but both of them are specially designed to mimic the feel of drawing with a normal pencil or pen. A battery operated stylus is designed to be thicker because they have to hold the batteries to power them. They also have a finer point, and you use them for pen-to-tablet drawing. EMR style styluses rely on low energy levels that come from the pen’s circuits, and this low energy reacts to the tablet’s active area. These are thinner, but they usually have thicker points. You want to choose a tablet that comes with a strong support system. Whether you look for country-specific support, an easy-to-reach customer service line, or an interactive forum, all of these can improve your user experience. If you purchase a little-known tablet, you run the risk of not being able to get support when you need it if you have a problem with your tablet. This can be frustrating and disrupt your workflow until you solve whatever issue your tablet is having. Many tablets come with wireless capabilities, and again, this is a personal choice. A wired tablet gives you less room to maneuver around as you work, and you’ll have to be careful that you don’t pull or tug at it. However, a wired tablet gives you a direct and steady connection to your monitor or workspace. Wireless tablets are extremely popular as it allows you to move your tablet around freely without worrying about tugging or pulling on a cord. You do have to be careful about the distance from your tablet to your workspace because you won’t necessarily have a steady connection. The Wacom Intuos tablet is top of my list. It comes in small, medium, and large and you get the opportunity to customize the package by choosing the regular edition, paper edition, or the pro bundle. It has revamped pen technology that features a responsive 8192 levels of pressure sensitivity to give pinpoint accuracy while you use it. The pen also has built-in tilt support, and it’s battery-free, so you never have to worry about charging it. The included pen stand has a sleek design, and it ensures that your pen is always close when you need it. This tablet comes with a USB Port, and it supports Windows 7 and later or Mac OS 10.10 or later operating systems. In paper mode, it also supports Bluetooth for connectivity to mobile devices, and it comes with a more compact footprint with a slimmer design. It also has a larger active area. You get multi-touch gestures, Radial Menus, customizable express keys, and easy pen side switches. You get the tablet, USB cord, pen and extra nibs, pen stand, and the battery all in one bundle. This tablet has a very ergonomic design with a smooth surface, curvy edges, and rounded corners designed to bring maximum comfort for the users. It allows you to comfortably rest your wrist along the edge to reduce the fatigue that comes from hours of work. You also get a huge 11-inch active area that allows you to create your projects and designs quickly and easily. The included pen has been recently upgraded, and it features 8192 levels of pressure for ultimate accuracy and an advanced performance. You can make as precise of strokes as you need that range from thick lines to hairline designs. It is also rechargeable, and it provides a balanced and lightweight drawing experience with a built-in nib extractor. This tablet comes with wireless connectivity, and this wire-free design allows you to have more freedom to move and shift your tablet around without worrying about tangling or pulling and chords. You can also get up to 40 hours of battery life on a single charge. This tablet gives you a high viewing angle with 170 degrees in both vertical and horizontal that allows you to see the screen in several ways for maximum comfort. It also features a comfortable ergonomic design that allows you to use this screen while holding it in your lap, with a desktop, or on your workspace. The pen is battery-free, and this makes it a more lightweight option the closely mimics an actual drawing pen. You won’t have to worry about charging it or about the battery leaking while you use it. It operates on Windows XP, 7, 8, 8.1, 10, and Vista. You get a large and bright screen at 10.1-inches that is excellent for professional projects and design. It is compatible with several drawing platforms including Corel Painter and CorelDraw, Adobe Photoshop, Illustrator, and Fireworks, Macromedia Flash, Comic Studio, SAI, Paint Tool Sai, Infinite Stratos, 3D MAX, Autodesk MAYA, Manga Studio, Pixologic ZBrush and more. You also get a multi-plugin USB cable and an artist’s glove. You’ll get a very large drawing space with this tablet at 10-by-6.25 inches so you can work on even large projects with ease. The redesigned surface has a paper-like feel to enhance your design experience that helps to prevent the pen from slipping. The pen itself is rechargeable, and it comes with 2048 levels of pressure sensitivity and two programmable buttons for precise line work and drawing capabilities. The tablet comes with eight customizable buttons and 16 hotkeys along the side and top of this tablet. They allow you to quickly and easily zoom in and out, scroll, and map them to your own convenience. You can use this with both your left and right hand comfortably. It is very thin and lightweight, and this makes it very easy to carry around. 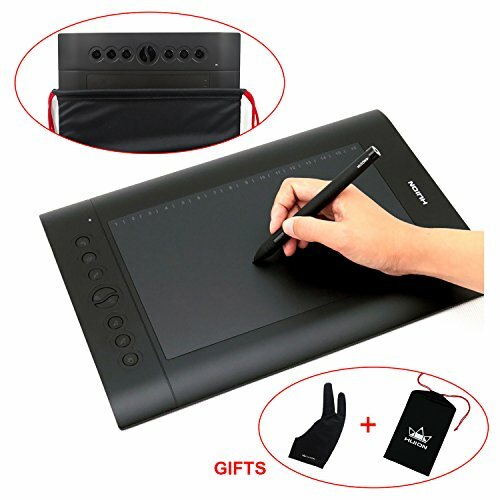 You get an included artist’s glove for reduced hand-to-tablet friction and an improved drawing experience. There is also an included carrying bag that allows you to carry your tablet without fear of nicks or scratches. 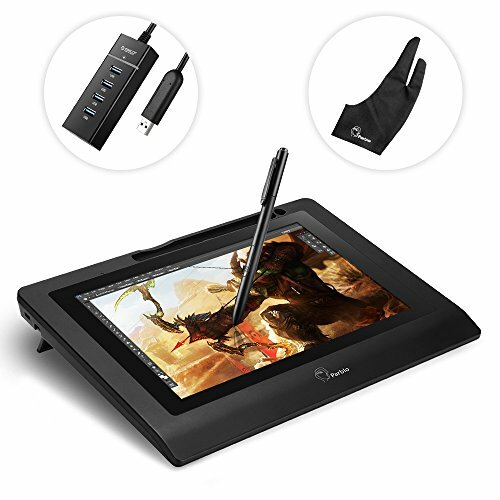 Cintiq allows you to customize your tablet before you buy it by offering several different models including the new 13-inch model, the old 13-inch model, the 13-inch pro bundle, or the 16-inch tablet. You work directly on the screen for a fast and interactive drawing experience. the wide viewing angle and high resolution make for a stunning experience, and it includes a mini HDMI cable to connect it to a Macbook Pro. You get a three position display stand that makes it easy to adjust this table to a comfortable viewing and working height. The tablet features a very compact, powerful, and lightweight design that allows for easy portability. It’s very user-friendly, and you can connect it to your PC or Mac with a 3-in-1 cable. You’ll also enjoy a Rocker Ring and four Express Keys for further customization options. It has multi-touch gestures that allow you to scroll, zoom in and out, pan, and rotate your work with a quick touch. UGEE’s tablet comes with a large active area that allows you to work on a variety of projects with ease. It also gives you a slim, sleek, and lightweight area to work on for an exceptional experience. 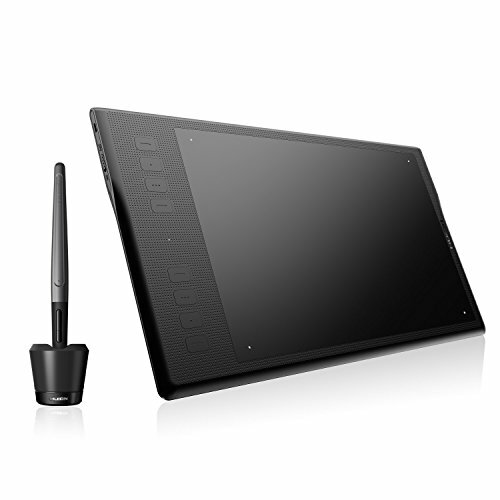 This tablet is highly sensitive, and the pen has 2048 levels pressure sensitivity that allows you to make bold or thin lines quickly and easily. You’ll enjoy eight shortcut keys and a three-button mouse to streamline your working experience. It’s user-friendly for both left and right-handed people, and it suits anyone from industry veterans to design hobbyists. You get a one-year warranty against any damage or failure with fast customer support options. The micro USB port lets you quickly and easily connect to another device. This tablet is compatible with several different operating systems for added flexibility. It works with Windows 7, 8, 8.1, 10, and Mac OS. You can also use several popular drawing and design applications including Photoshop, Illustrator, Macromedia Flash, Comic Studio, and SAI. 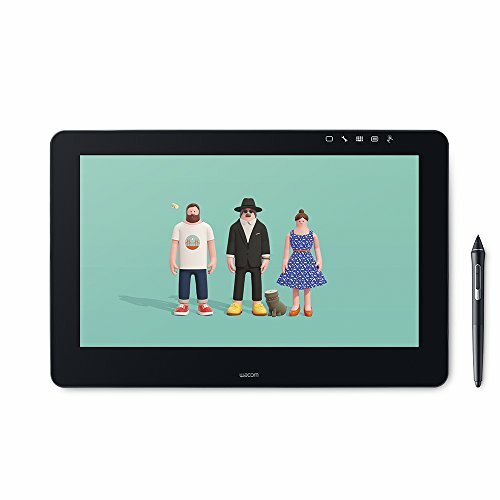 Wacom’s Cintiq Pro tablet lets you choose from four different packages ranging from an older model 13-inch screen, a revamped 13-inch screen model, a 13-inch pro bundle, and a 16-inch model. You get a brilliant high resolution display that goes up to 4K for a next level viewing experience when you use the USB-C to USB-C connection and connect it to a 4K resolution computer. You get a lightweight and versatile pen that allows for pinpoint accuracy up to four times greater than other pens and higher levels of pressure sensitivity to prevent lag. The screen is etched glass for a smooth user experience. It has an integrated stand so you can work at an inclined angle for greater comfort. This tablet allows for multi-touch gestures including scroll, zoom in and out, pan, and more. You’ll get Express Keys, one-touch shortcuts, and radial menus for an effortless and smooth workflow. This tablet is compatible with both Windows and Mac operating systems for greater flexibility. Huion’s tablet is compatible with a wide range of applications including CorelDraw, Corel Painter, Adobe Illustrator Photoshop, and Fireworks, Macromedia Flash, SAI,Paint tool SAI, Comic Studio, 3D MAX, Infinite Stratos, Pixologic ZBrush Autodesk MAYA, and more. This kit comes with several accessories including a durable carry case, an anti-fouling glove, a two-finger artist glove, and a cleaning kit. The pen has a dual function as a drawing tool and as a cursor, and it allows you to scroll through your web pages as well. You get three express keys that allow you to close the current page or save it with a click to streamline your experience. It’s very user-friendly, and it has a USB interface for plug and play technology. The pen comes with 2048 levels of sensitivity that lets you draw thick lines and wispy strokes quickly and easily. The screen has a very high resolution for a brilliant and clear display. The screen is slightly smaller at 4 by 2.23 inches, but the compact design is nice. This tablet features a large 10.6-inch active area with high resolution and a high response rate for a brilliant screen and a smooth user experience. The higher refresh rate of 230 RPS helps to improve accuracy as you work and reduce any leg. The stylus pen is battery-free and lightweight. The pen looks and feels like you’re drawing with a traditional pen, and it has 8192 levels of pressure sensitivity to enable you to sketch thick, bold lines or wispy, thin lines quickly and easily. You also get eight customizable Hot Keys to improve your user experience. They adapt to your most frequently used shortcuts, and you can use them left or right-handed quickly and easily. It is compatible with a variety of operating systems to improve flexibility including Windows 10, 8, 7 and Mac OS. It also works with several creative software applications including Photoshop, Fireworks, Illustrator, Macromedia Flash, SAI, Comic Studio, and many more. 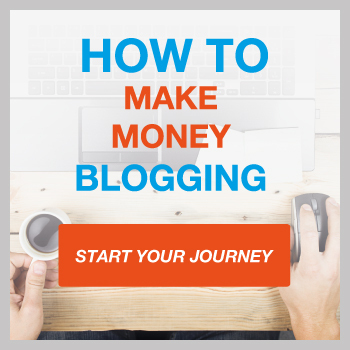 It works well for both professional designers and illustrators and beginners. This tablet comes with a large drawing surface that is textured to mimic the feel of drawing on paper. It is designed to be highly sensitive to improve your drawing experience. The stylus pen comes with 8192 pressure levels, and when you combine this with the highly sensitive drawing surface, you get a very responsive and interactive work surface. The pen is also battery-free, and this allows it to be lightweight and mimic the feel of a real pen. You won’t have to worry about charging it, and you can create your projects quickly and easily. You get six shortcut keys and a dial that lets you quickly and easily customize your table to suit your needs with several shortcuts. It is compatible with several operating systems including Windows 10, 8, 7, and Mac OS 10.6.0 or above. The included drivers work with several popular creative software including Illustrator, Comic Studio, SAI, Photoshop, Macromedia Flash, Fireworks, and more so you can work on your projects when you need them. 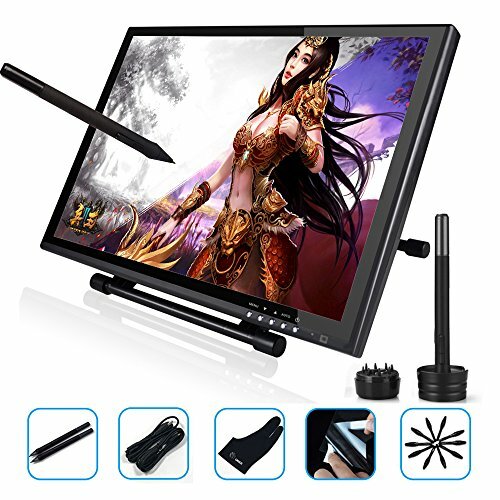 This large tablet monitor comes with full HD capabilities with a very high 4000 LPI resolution and a snappy 230 PPS tracking speed that allows for a dependable and precise drawing surface. If you combine this with the stylus pen’s 2048 levels of sensitivity, you get a bold display with pinpoint accuracy. The screen also has a 3000:1 contrast for a brilliant display. 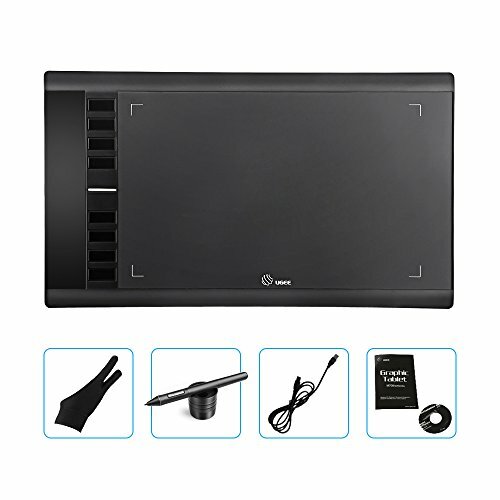 This tablet runs on an external AC 100/240V Power, and it connects through a 5V3A USB port on the side of the tablet. You get a 1.8m DVI to HDMI cable, a 1.8m USB 2.0 to USB 2.0 cable, the tablet, and a pen kit in this bundle. There are also several optional accessories you can buy. It supports several operating systems including Windows 7, 8, 8.1, 10, Mac 10.8.x and later, and Linux. It also comes with a one-year warranty against failure or damage. This tablet comes with stunning color clarity with a 72 percent NTSC color gamut plus a 3000:1 contrast ratio. It gives you up to 16.7 million colors each time you use it. It also has a quick 233PPS report rate with a high 508 1LPI resolution for a better working space and a faster response time. You get two pens with this tablet, and they have 8192 levels of sensitivity for pinpoint accuracy. Draw thick lines or thin sketches with ease. The thin design and the rounded corners ensure that the user is comfortable the entire time they use it. You get a pen stand with an automatic nib extractor and eight additional nibs. It has a multi-angle adjustable stand that lets you adjust it from 20 to 80 degrees to ensure maximum comfort. 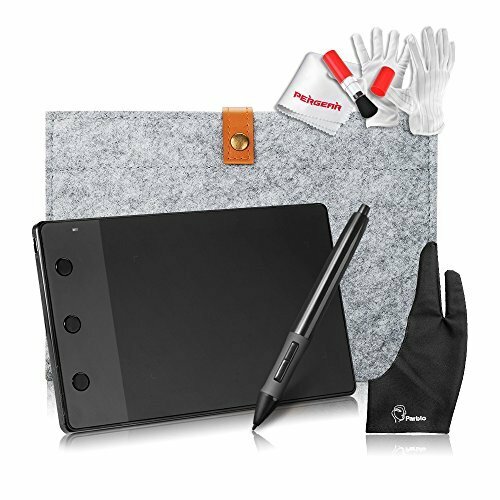 You get the tablet, pen, pen holder, charging cable, USB, HDMI, and AC cables, power adapter, artist glove, screen protector, pen tips, and more all in one convenient bundle. 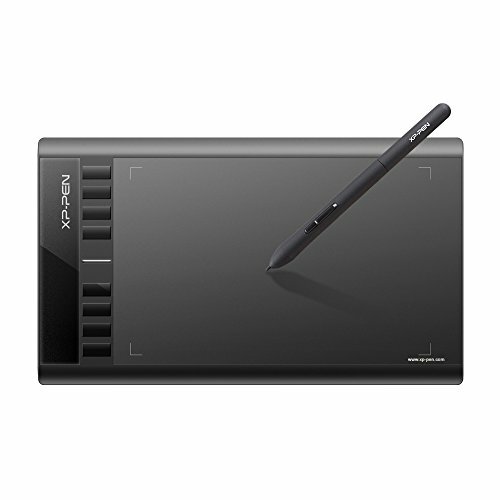 This tablet allows its users to sketch, draw, and paint directly on the screen for a smooth and seamless experience. The active area is very large at 19 inches, and it has a high 1440 by 900 resolution. When you combine this with the high sensitivity ratio of 2048 levels, you get an accurate and responsive drawing tool. It comes with a multi-angle adjustable stand so you can adjust it to your perfect comfort level while you work for extended periods. You can use this tablet with XP, Vista, 7, 8, 8.1, 10, and Mac OS. In addition to this, you can also use Adobe Photoshop, Illustrator, Autodesk Sketchbook, Corel Painter, Autodesk MAYA, ZBrush and more drawing software. 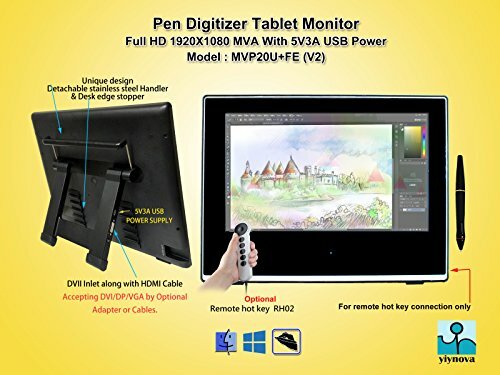 When you purchase this tablet, it comes with two rechargeable and lightweight pens, two pen charging cables, a VGA cable, a USB cable, a power cable, user manual, screen protector, and a drawing glove all in one package. You also get a one-year warranty against damage or device failure with easy-to-reach customer support. 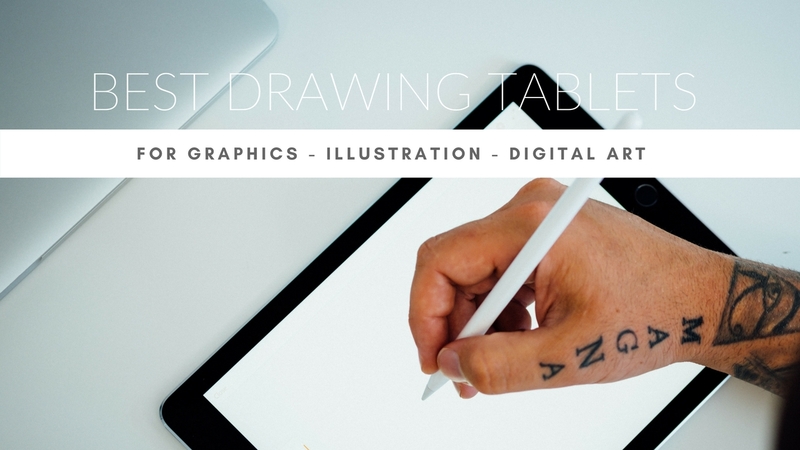 These 13 drawing and illustrating tablets are some of the top tablets available on the market today. Each tablet has something that makes it stand out, and they all have their downsides. 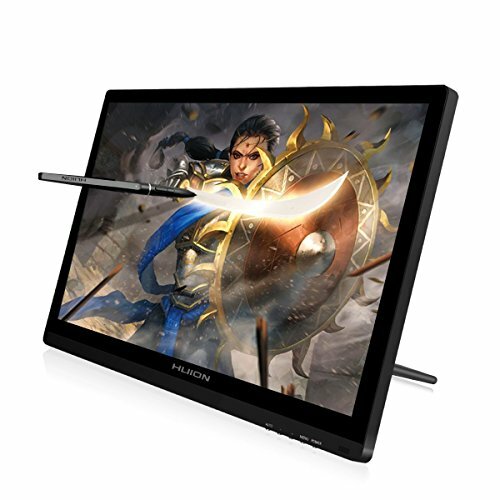 If you’re in the market for a high-quality drawing tablet, you’ll want to compare our reviews and look at our buying guide so you know exactly what criteria you should look for in your next tablet. No matter what you want or need your tablet to do, we have one to suit your needs.